"Please take a seat, everyone...we are about to start the show!" I was hugging my dearest Melanie from hautehijab.com and had a chat with Gina from whatsthedoost.com as well as Heba Jay from hebajay.com when this super-efficient-looking lady was reminding everyone to take one's seats. Gallery II of Skylight Clarkson Square was packed with people. 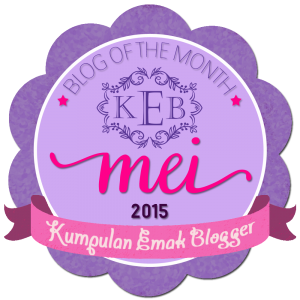 Media, fashion industries, bloggers, diplomats, and more. Certainly those who have come back after a historical debut in NYFW Spring/Fall last season and those who were intrigued to see DRAMA. 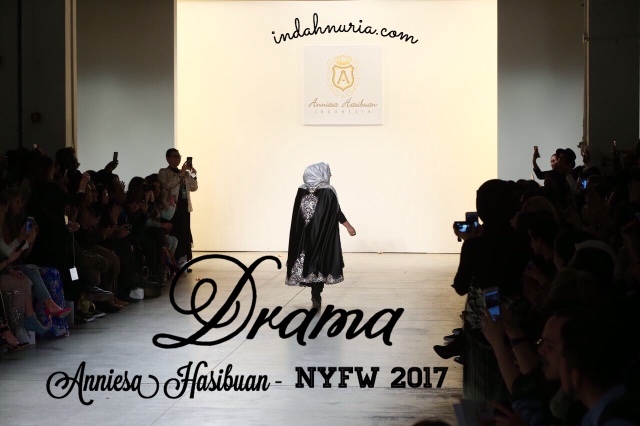 As the first model poised under the sign bearing Anniesa Hasibuan's name and the dramatic music intoxicated me, I could barely breath. 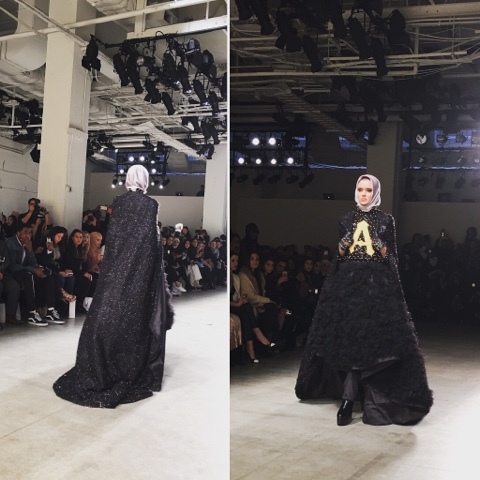 Please don't blame me for still getting so excited with DRAMA, Anniesa Hasibuan's latest show at NYFW Fall/Winter 2017. For the second time, she is back with a BANG! super ready for the show..
And coming back, like those one-hit-wonder trying to prove its lingering existence, is not easy at all, right. 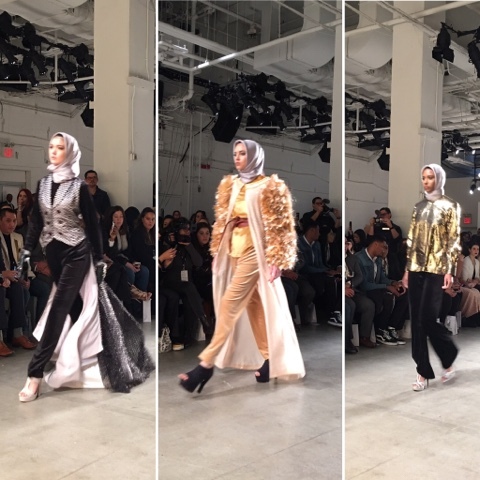 Being the first Hijabi and Muslim wear designer coming to NYFW and showed her collection with all models wearing Hijab, Anniesa certainly stole the world's attention for making this historic debut. 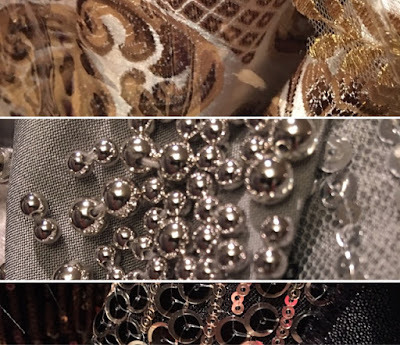 Now that people has certain expectations towards the collections being shown, Anniesa certainly endures a lot of DRAMAs while preparing for this collection. Literally. 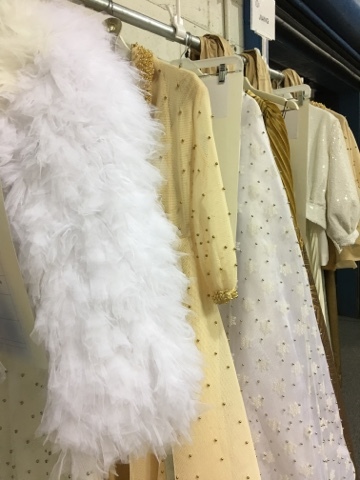 After showing flattering pret-a-porte collections with a luxurious touch of haute-couture and intricate details filled with pastel colors in dresses,tops, jackets, pants, capes and more, Anniesa continues to work on her signature touch for a series of deluxe collection for fall/winter season. 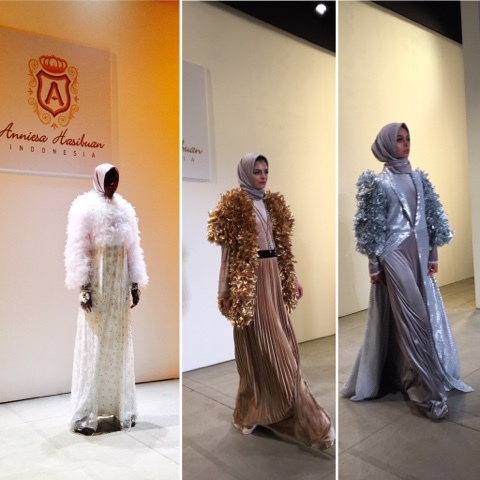 And once again, Anniesa proves to the world that her labour of love and her passion for intricate, elegance designs perfect for Muslim ladies, as well as those wearing no hijab. some of the details...don't you just love it! Being pregnant for her second baby obviously does not prevent here from creating those marvelous, out-of-this-worldly elegant pieces! So, we arrived at around 3 PM at the venue. Took some pictures in front of the venue and off we went backstage to get ready. In case I haven't mentioned it before, I help Anniesa with the translations for all interviews she got before and after the show. What fun! And such an honor as well..
And she did have a lot of interviews. The New York Times, the Washington Post, Vanity Fair, and Pop Sugar as well as Elle are some of the medias lining up to interview Anniesa that day. 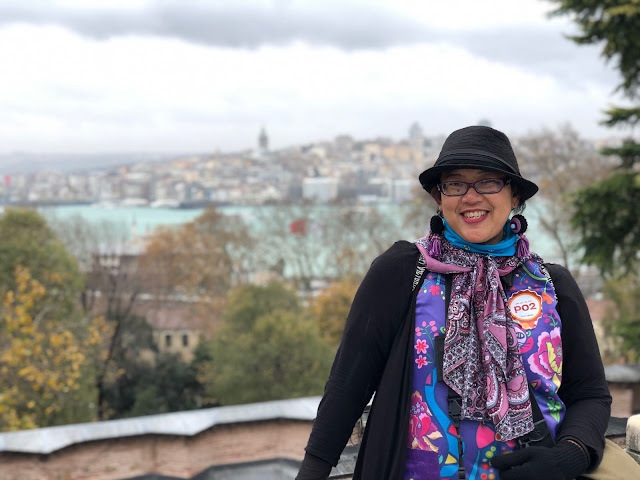 Besides questions about her collections and inspiration for DRAMA, many asked about her saying on the latest administration policy about immigration and how fashion can be used to bring peaceful messages. The decision to cast all-immigrants models, including the first and/or the second generations, for her collections is to show the world that fashion is an open world. It's beautiful, just like America, which has been long known as the land of opportunities and equality. Differences are something you shouldn't be afraid of! 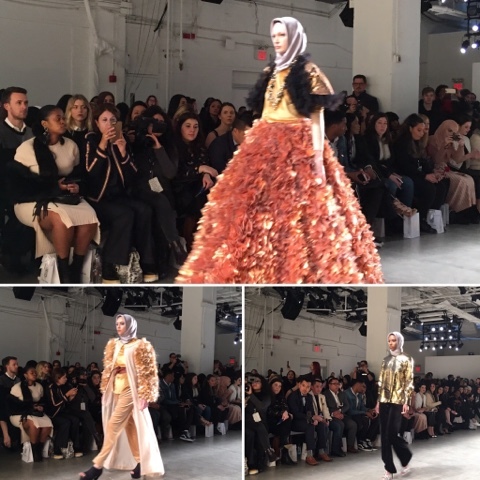 For Anniesa, coming back to the NYFW means she is given the opportunity to once again show the beauty of Islam through modest fashion and the richness of Indonesian cultures and values as projected in her works. Then, it was time to start the show! 48 looks and I'm blown away! Truly inspired by the incredible life story of women who have power to change weaknesses into strengths and uphold the ethics they hold dear as true women, DRAMA present the immaculate combination of premium materials, colors and sumptuous details, creating the astounding beauty for elegant and glamorous women. Let alone the pleads and oh those intricate embellishments! Those arduous embroideries, laces and premium fabrics paired with pearls, beads, and crystals are just awesome. DRAMA successfully bring out my inner strength and energy as I see those mixture of bold , strong colors in black, white, silver, gold and copper tone, accentuated with firm lines and rich structures. So proud of you, dear Anniesa! 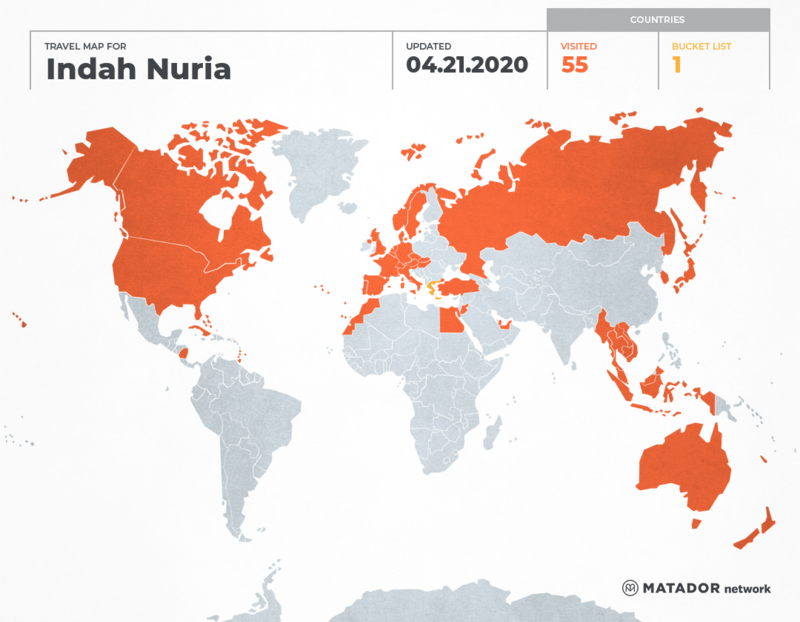 And I know Indonesia and the world are, too. 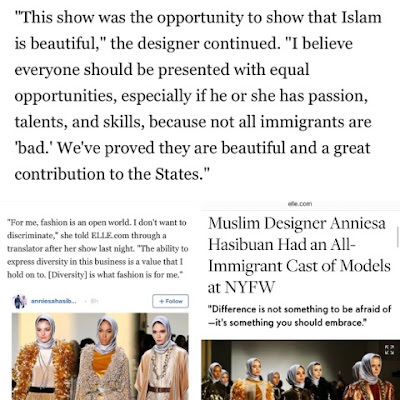 And of course, just like last year, Anniesa stole the attention with her works and her message of peace, diversity and equality in NYFW. God bless you, Anniesa...and keep up the great works! 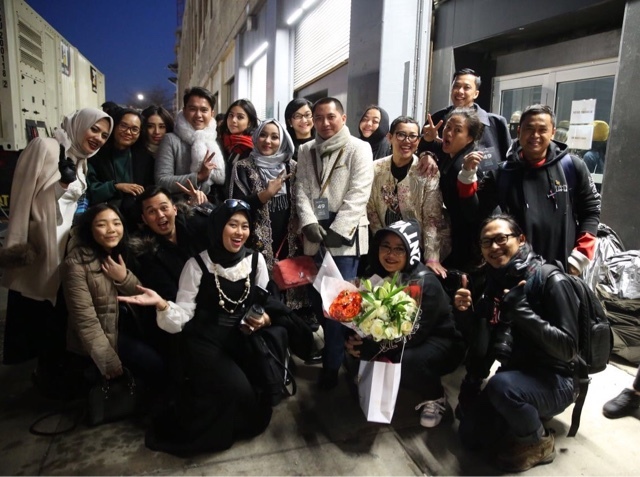 Temenku cerita ttg beliau mba, talented yaa mba. Iyaaa mba... her works are wonderful! This is just marvelous! I love it. Just one reason I love blogging. If it weren't for you I would have never heard of this. This is a great example of redefining things into something bigger and better. 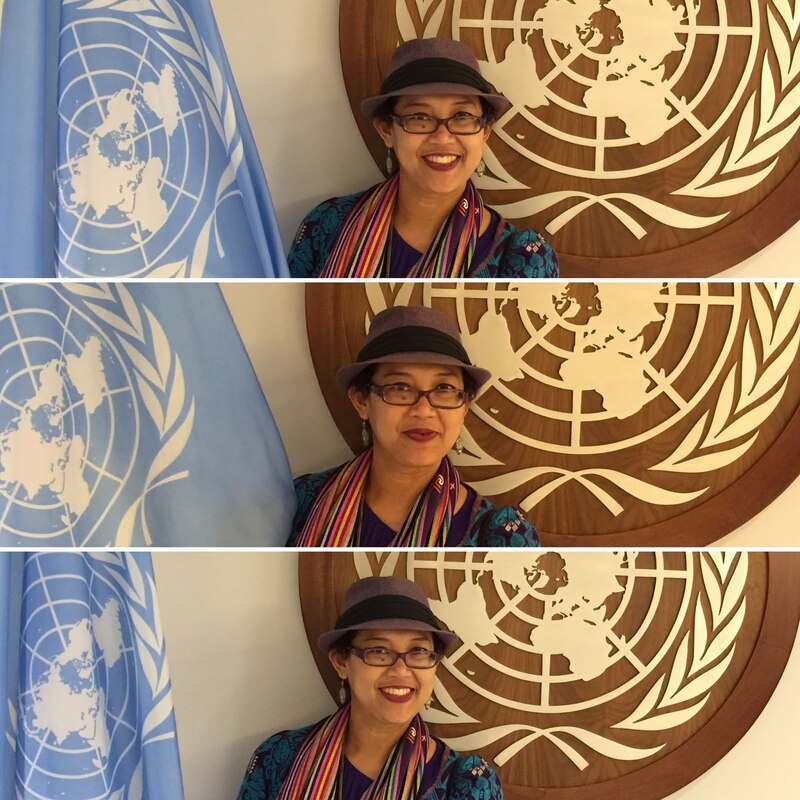 Iya nih Astin.. happy to be there..
She and you are so pretty! What a fun time! I love fashion shows. 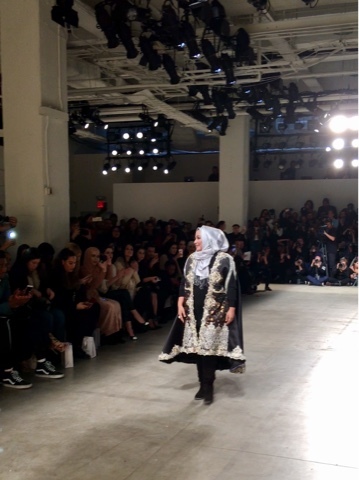 Thanks, Alissa...it was fun indeed..
Wahhhhh kerennn.. Ini toh Mbak Annisa yang diomongin di grupp..
... for Anniesa, coming back to the NYFW means she is given the opportunity to once again show the beauty of Islam through modest fashion and the richness of Indonesian cultures and values as projected in her works. ... how fashion can be used to bring peaceful messages. Such an amazing show! You definitely had a great view of all the wonderful designs! 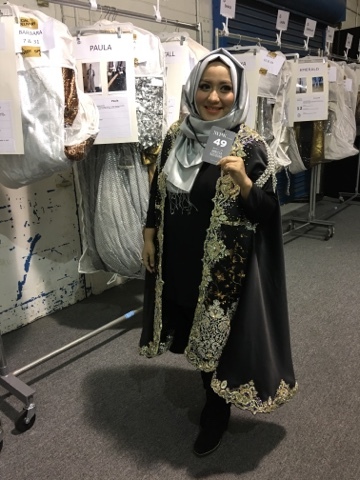 aku tau nama Anissa Hasibuan ini dari foto2mu tahun lalu lho mbak..
proud to see great works from Indonesian designer! 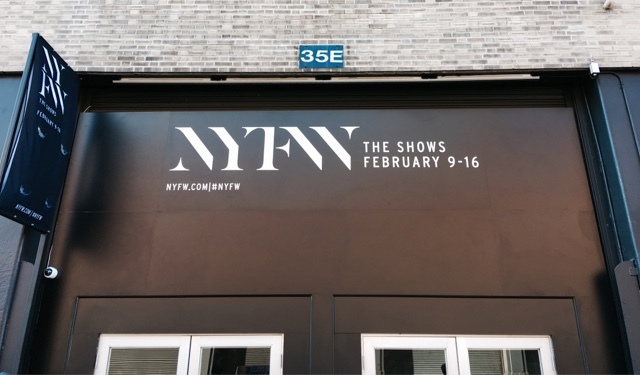 At New York Fashion Week.. I know, right...proud to be witnessing history..
lovely little white jacket on you!